Southeastern Retina Associates is one of 100 sites across the country partnering with the National Institutes of Health (NIH) in a study of the use of the drug Eylea as an injectable eye treatment for diabetic patients with vision problems. The study will evaluate the effectiveness of the new treatment compared to laser therapy, the current gold standard treatment for a complication of diabetic retinopathy in which patients suffer bleeding in the retina. The condition can result in blindness if not treated successfully. Patients taking part in the study will get either injections of Eylea, laser therapy, or simply be observed for changes. Steve Perkins, M.D., of Southeastern Retina Associates is recruiting diabetics whose vision remains relatively undamaged to participate in the study. Injections of Eylea are free, though patients or their insurance may be required to pay other costs involving regular eye care. Patients interested in participating in the study may call 865-588-0811 for more information. Tracy Price, a resident of Sevier County, Tenn., suffered from diabetic macular edema (DME), a potentially blinding side effect of the diabetes. Blood vessels in the retina of Price’s retina were leaking into the macula, the part of the eye that provides detailed central vision. The bleeding would not stop. Luckily, Price’s ophthalmologist at Southeastern Retina Associates, John Hoskins, M.D., was involved in a nationwide clinical trial of the drug Lucentis. Only when Price joined the trial and received the treatment did she improve. Price has lived with diabetes for more than 40 years, and DME had progressively distorted her vision. Laser surgery, the standard treatment for the condition, had failed to provide lasting results. After a number of months, Price would suffer another leak in her retina. 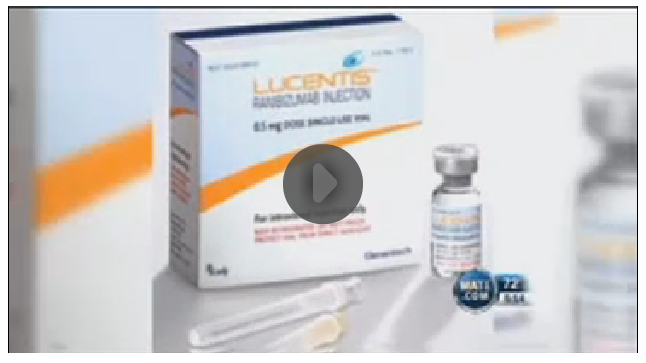 The Lucentis treatment involves injecting the drug into the eye. Price, who began routine injections in 2012 when the drug was approved by the FDA, has received 60 injections in both eyes. Price is pleased with the results. “It has kept me driving, it has kept my quality of life, it’s kept me working,” she told local TV station WATE. Dr. Hoskins rates her vision “excellent” in one eye and “reasonable” in the other. The physicians of Southeastern Retina Associates are pleased to announce that enrollment is completed for a clinical trial for patients with previously untreated wet age related macular degeneration (AMD). 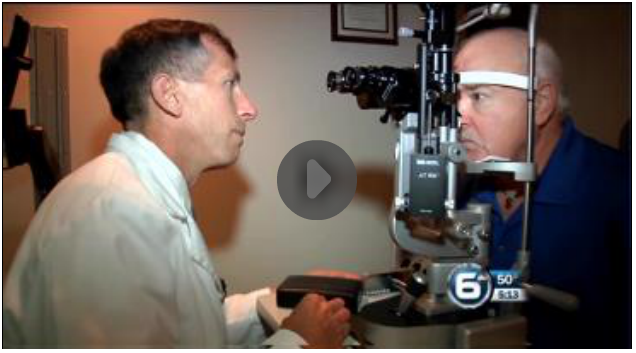 This trial is led by Chattanooga area investigators Dr. Francis Char DeCroos and Dr. Richard I. Breazeale with the goal of treating wet AMD in a more customized, patient centric fashion. The trial is designed to investigate an innovative method of treating wet AMD with fewer treatments and fewer clinical visits, while at the same time obtaining the best possible vision outcomes. This multi-center prospective clinical trial is available at only at a handful of sites across the United States including Chattanooga, Tennessee. The team of scientists responsible for this trial will be actively monitoring participating patients for the next two years. Southeastern Retina Associates maintain an active clinical research program from multiple locations across Eastern Tennessee. These retina specialists are committed to advancing the care of medical and surgical retinal diseases through participation in research. Our team firmly believes that research to improve the standard of care tomorrow allows us to provide the best patient outcomes today.